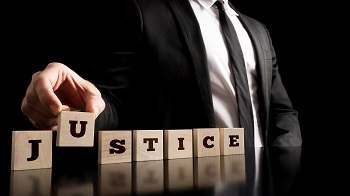 As part of my practice, I help many attorneys who do not focus their practice only on personal injury trial litigation. Many of them have wrangled in some great PI cases, but they have managed to get them to the point of dangling over the cliff of despair in spite of the greatness of the case. There are several reasons why accepting their “offer” of admitted liability and doing nothing with it is a terrible proposition for your client. You simply cannot accept this psuedo admission of liability as some type of task that you have check marked off your “To Do” list. First, you need to check their Answer to the Complaint and see if they truly admitted liability. Sometimes they will supposedly admit liability, but then turn around in the same breath and plead comparative fault. That is no admission. That is pure hypocrisy. Secondly, even if there is a true admission of liability, the defendant’s participation does not just stop there. What if the defendant gets to trial and is on the stand, and you have never deposed him? What if he gets on the stand and lies, stating that immediately after the wreck your client got out and was doing cartwheels, or some other form of activity that implies your client was never hurt? Or what if the defendant says that your client told the defendant the client is not worried about his injuries to his neck and back because he was already hurting in the neck from another injury several months ago? Are you going to let your client be exposed to this potential destruction just because you trusted the defense attorney who just set you up, and also perhaps because you wanted to save $350 bucks by not taking his deposition? That should be malpractice on your part. Do not take the bait. What if your client has significant injuries that are likely to exceed the defendant’s policy limits? What if you find out that the defendant had only $100,000 in coverage later when you settle, but you never took his deposition to find out that he was actually delivering parts for a major parts distributor at the time of the crash with your client (and therefore was covered by a much larger policy), or he was driving an UBER vehicle delivering food (Uber Eats)? Your client deserves excellence. Don't be lazy! What if it is a trucking case and the driver has not been trained correctly? I believe that juries can forgive a truck driver for a one-time incident. However, lack of training by a company to all of its drivers is a systemic failure that causes greater harm and danger. How will you know that if you simply accept the defense’s so-called fake “admission” of liability and don't dig beneath the surface? I see these types of overlooked issues all the time in cases that are referred to me. I want you to know that if you don’t have the time or money to dig deeper into these cases, you need to associate someone who has been down this road before and will assist you in getting past these fake admissions. Bottomline, when the defense lawyer tells you that he/she is “admitting liability” you need to bare down and see if there is something there beneath the surface they are trying to hide. Even if not, you need to judge the character and demeanor of the defendant. Is he/she going to make a good witness? Is there a bigger failure that needs to be exposed? Keep digging folks. If I can ever help, or you just want to brainstorm on a case, give me a call. I’m here fighting the fight.